Design a show-stopping piece to convey the importance of the rebranding and the institute itself. How can we make a substantial impact with our exciting news? 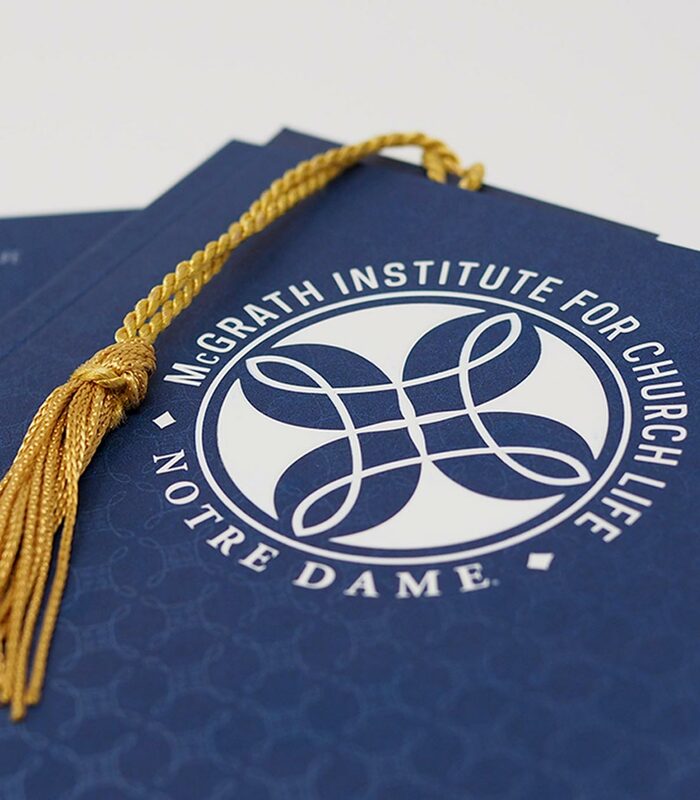 The University of Notre Dame’s Institute for Church Life had received a major contribution, and the institute was being rebranded to include the donor’s name. This was a very exciting time for the institute, and they wanted to share this momentousness with important campus visitors over the summer—including academics, family and the community. The goal was to share the fresh branding and also the value, merit and vision that the institute brought not only to the campus itself, but also to a widespread audience due to its country-wide outreach efforts. A piece needed to be created that was as special as the institute itself. 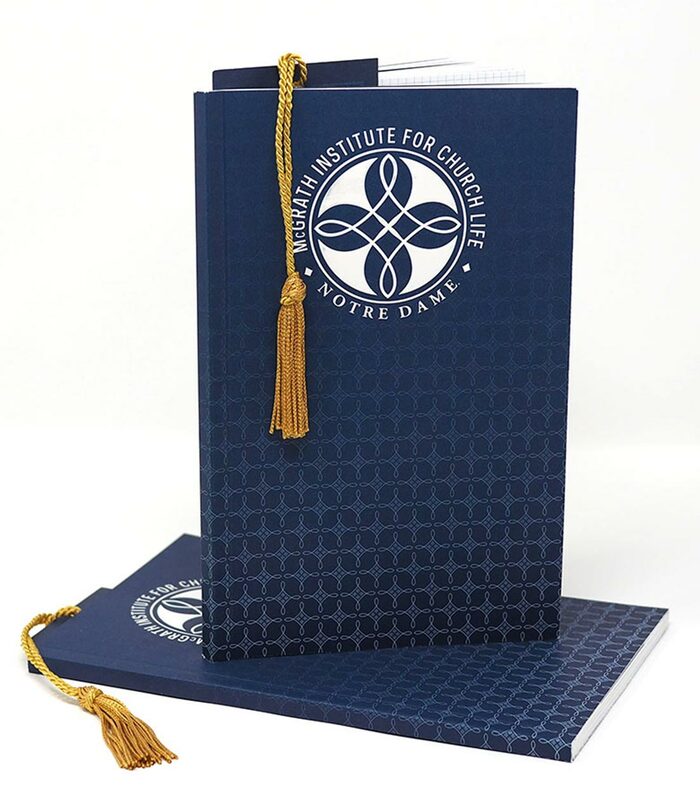 Starting with the client’s initial sketches, I worked with the institute’s marketing team to bring their vision for the future of the institute to life. After finalizing the elements of the new logo, we looked to the university admissions department for inspiration and to ensure consistency across all university branded materials. 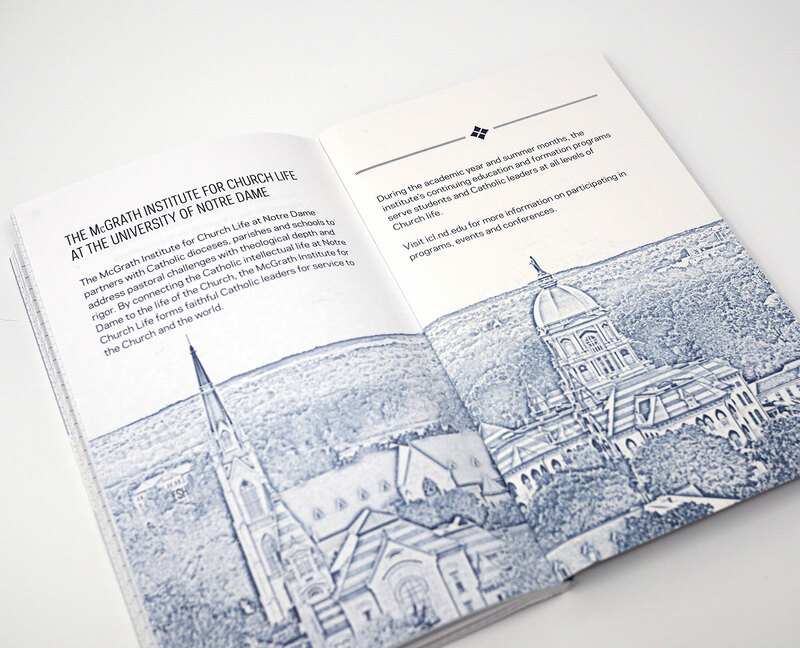 The result was a longstanding 200-page journal which recipients could use for many purposes. 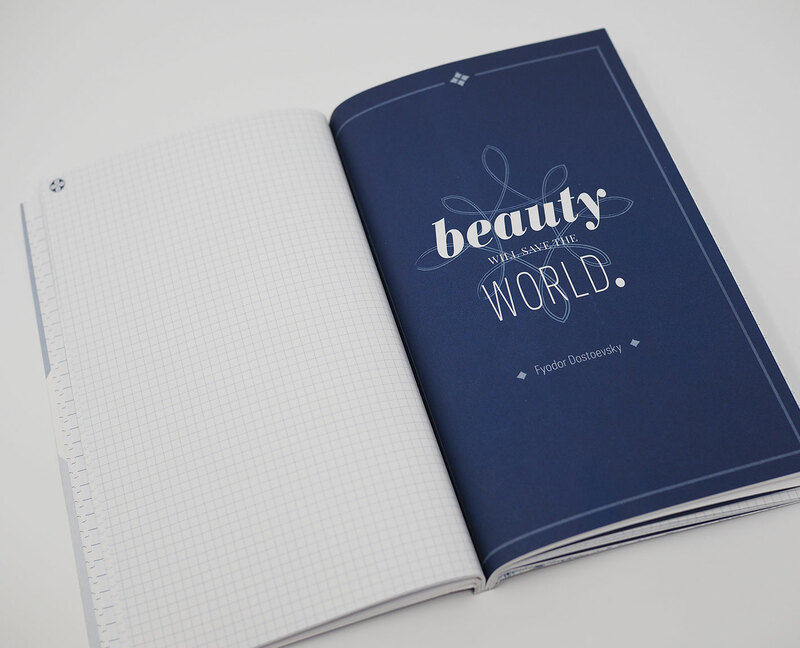 Inside pages were lined or gridded and showcased meaningful quotes throughout. Iconic images of campus, prayers and information reflective of the institute’s mission and values were also included at the end. Finishing touches like embossing and spot gloss were added to make this piece extra-special. We even created custom bookmarks to distribute at a campus event! Ready for web design that puts your needs first? When it comes to website design and determining which platform is best, I’ll help you figure it out. Need a graphic design partner? Whether it’s a project or campaign of any sort, I can support you from beginning to end.